Another season, another unfulfilled Champions League campaign for Paris Saint-Germain. In a position to reach the quarter-finals, Thomas Tuchel's PSG sensationally crashed out on away goals against Manchester United. After leaving Old Trafford with a 2-0 win over United last month, the Ligue 1 champions returned to the French capital in the box seat. However, a dramatic 3-1 defeat on Wednesday - secured by Marcus Rashford's VAR-assisted 94th-minute penalty - sent PSG packing. The stunning result created Champions League history - it was the first time a team had progressed to the next round in the competition having lost by two or more goals at home in the first leg of a knockout match. It also heaped further misery on PSG and their Qatari owners, who crave European success after years of domestic dominance. Led by Carlo Ancelotti and spearheaded by Zlatan Ibrahimovic, PSG lost out to Barcelona on away goals in the last eight. After edging past Valencia in the last 16, PSG conceded an 89th-minute penalty in a 2-2 first-leg draw at home to the Spanish giants. The Ligue 1 champions could only manage a 1-1 draw in the return fixture, though. A new season and a new head coach but the same outcome. PSG's last-eight elimination was almost identical - this time Chelsea sending the French side out on away goals. Laurent Blanc replaced Ancelotti and saw PSG defeat Chelsea 3-1 in Paris. That was as good as it got, though, as they were beaten 2-0 in London. Blanc was still at the helm when PSG were pitted against Barca in a repeat of the 2012-13 showdown. But this time it was more one-sided as PSG, who gained revenge on Chelsea after extra time in the last 16, were outclassed 5-1 over two legs by the eventual champions. There was more pain for PSG, this time against Manchester City in the quarters. Like the season prior, Blanc's men overcame Chelsea in the round of 16. However, they could not get past another English team in City, whose 1-0 second-leg win settled a narrow 3-2 aggregate triumph. PSG's most painful European defeat came against familiar foe Barcelona in 2017. 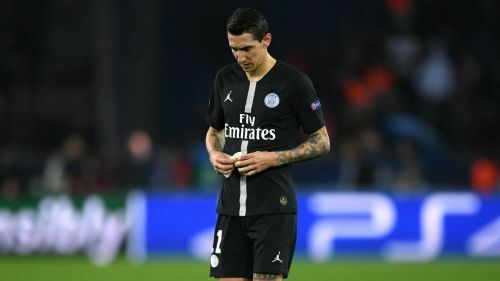 After turning to former Sevilla boss Unai Emery in the hope of hitting the Champions League jackpot, PSG's place in the quarter-finals seemed to be a foregone conclusion after crushing Barca 4-0 in their home first leg. What followed, however, was the greatest comeback in Champions League history. Barca stunned PSG 6-1 at Camp Nou, where the LaLiga heavyweights scored three goals in the final seven minutes as Sergi Roberto's 95th-minute winner inflicted a devastating loss. Still scarred by the events that unfolded in Barca the previous season, PSG were simply no match for eventual winners Real Madrid. Beaten 3-1 in the first leg on Spanish soil, they were unable to overturn the deficit in the return fixture, Emery's team eventually losing 5-2 on aggregate. PSG turned to former Borussia Dortmund coach Tuchel - the German seen as the man to deliver coveted European glory. But just like the others who went before him, there was only further Champions League pain. Poised to reach the quarters for the first time since 2016, PSG surrendered a two-goal advantage from their trip to Manchester to slip out. UEFA Champions League 2018-19: Can Ole Gunnar Solskjaer repeat his Camp Nou heroics from 20 years ago?